Delta™ harnesses combine a set of “industry-first” advancements, with popular features making them the workhorse of the industry. Today’s Delta™ represents the culmination of more than twenty years of design, research, manufacturing know-how and on-the-job performance. Delta™ harnesses are as tough as the guys who wear them. They feature coated, corrosion-resistant hardware, water-repellant and abrasion-resistant webbing and a build quality that is second to none. 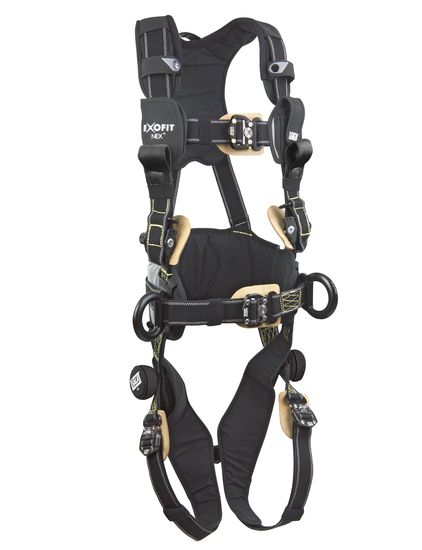 A patented triangular design gives Delta™ harnesses a shape of their own, so you can don them quickly and easily. Throw it in the tool-box or in the back of your truck, think you can tangle it? Just pick it up and it’s ready to put on, tangle-free. 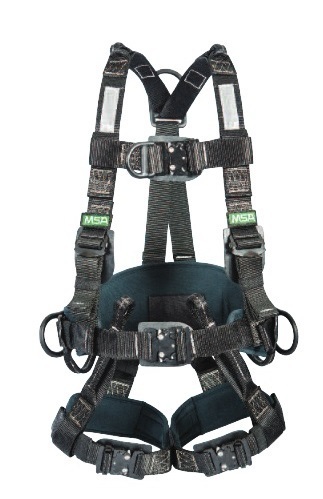 The Delta™ pad also incorporates a web spreading design, positioning webbing wider apart on shoulder straps to eliminate abrasion on your neck. Standards CSA Z259.10, Capital Safety Gen. Mfg. Req.